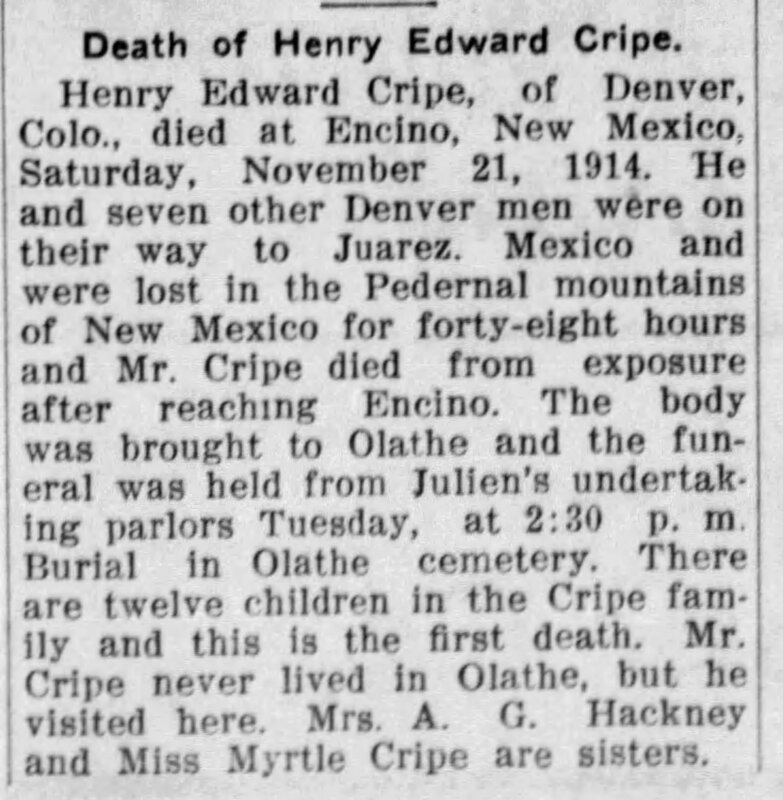 Henry Edward Cripe was born in Morrisonville, Ill, March 25 1876 and died in Encino, New Mexico, Nov. 21 1914, aged 38 years, 7 months and 26 days. He united with the Presbyterian church of Clinton, Mo. at the age of eighteen. For the paast fifteen years has been a resident of Denver, Colo. He leaves to mourn his death his father and mother, Mr. and Mrs. J. Cripe, eight sisters and three brothers. He being the eldest of the four boys and the first death in the family of twelve children. The funeral was held from the home of his sister, Mrs. A. G. Hackney, 315 South Chestnut St., Tuesday afternoon at 2:30 o'clock Nov. 24th. Funeral sermon was delivered by the Rev. S. F. Riepma of the First Presbyerian church and interment was in Olathe cemetery. The members of the family who were present at the funeral were his mother Mrs. J. Cripe of California; two brothers, A. J. Cripe of Garnett, Kansas and W. A. Cripe of Council Grove, Kansas, and two sisters, Miss Myrtle Cripe of Merriam, Kansas; and Mrs. A. G. Hackney of Olathe, Kan. Those who were not able to attend were his father and three sisters of California, on sister in Illinois, one in Texas, one in Lyons, Kans. and one brother in Ponca City, Okla. 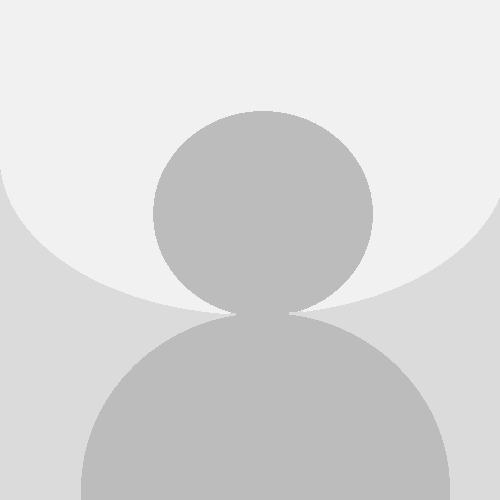 Please share your memories of Henry Edward.